JOI herbal supplements nourish the body with a precise combination of herbs to help your musculoskeletal system stay in balance. This benefits joints and muscles. The mind-body connection is powerful. Low mood and distress can adversely affect the body, which can lead to tension, discomfort, and fatigue. Joi is specially formulated to address this interaction by promoting a positive state of mind, improving mood, and emotional balance. This in turn helps relieve tension and improve energy levels as well as improve your overall sense of well-being. JOI key ingredients: eleuthero (Siberian ginseng), white willow bark, and yeuan wu root. Eleuthero, white willow bark, mint leaf, silver flower, yeuan wu root, chuan xiong root, angelic root, golden bell fruit, in a vegetable based caupsule. The choicest herbs are harvested when their active components are at their peak, and Sunrider never uses cheap herbs. 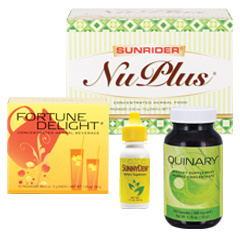 Sunrider herbal supplements are very concentrated with many pounds of herbs for each pound of formula contained in the capsules to assure maximum effectiveness. 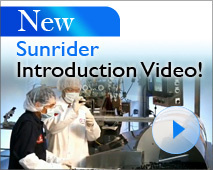 JOI herbal supplements are based on Sunrider's Philosophy of Regeneration™.